Success across the production line. 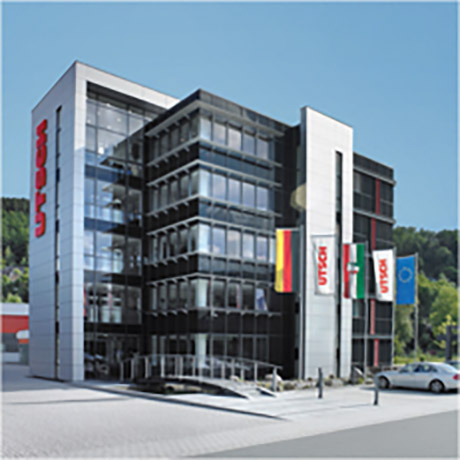 UTSCH products with their renowned German quality are in demand all over the world. State-owned and privately operated embossing firms worldwide are equipped with clapper dies and counter embossing tools, embossing presses with various specifications, hot stamping machines, fully automated embossing presses and the computer-controlled U-Press, which is manufactured in house. A highly skilled team of design and machine construction engineers develops and produces tools, machines and systems for the manufacture of license plates that satisfy typical UTSCH standards: ease of use, minimal maintenance and a high standard of workmanship. And to make sure that only technology that is tried and tested and has been perfected finds its way to the customer, all new developments are first used in house at the Siegen site, tested under tough everyday working conditions and then optimised until they are fully mature.